Students of Tucson’s Davis Elementary School’s Mariachi Las Aguilitas watch director Jaime CLICK IMAGE TO ENLARGEValenzuela for cues. No doubt, the little ones in Davis Elementary School’s Mariachi Las Aguilitas are cute as all get out and represent the multicultural tapestry that is Tucson. But watching them dig into some of the most complicated folk orchestra music on the planet, dissecting it, putting it together and making it crackle, is what makes seeing these groups such a thrilling experience. 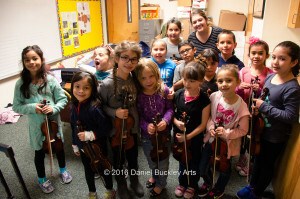 In many ways Davis and the other elementary school programs that feature mariachi programs are the incubators, and you can often guess which kids went through these programs, just by how prepared they are musically, as they progress through the grades. 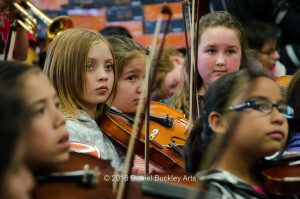 Watching Jaime Valenzuela work patiently with 100 small kids, keeping them focused, demanding of them in an inspirational way, and helping them develop the tools to solve each musical problem that comes along, is simply inspirational. Clearly this is not a chore to these young kids. They love it. The more challenging the piece, the more they rise to it. They are confident, outgoing and expressive. And clearly they are motivated and engaged. 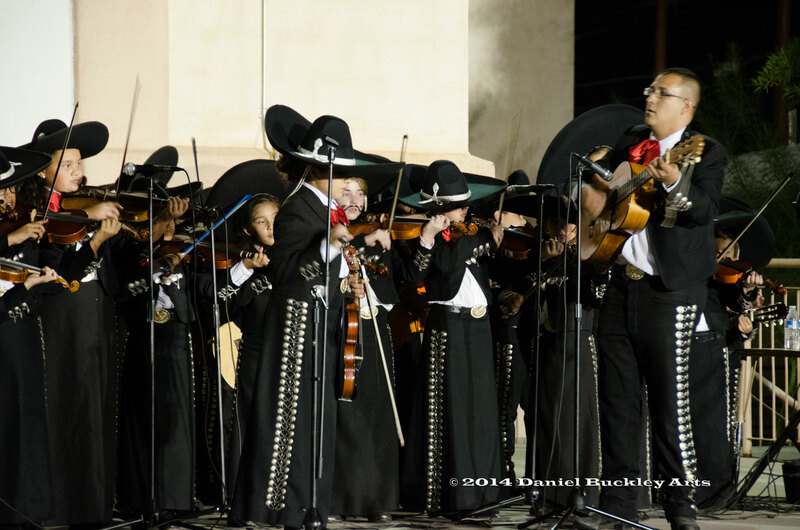 Jaime Valenzuela leads Mariachi Las Aguilitas de Davis Bilingual Elementary in concert. 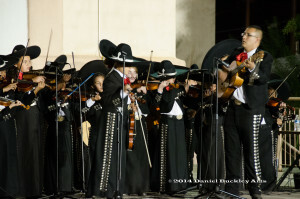 Mariachi Las Aguilitas was begun many years back by beloved teacher Alfredo Valenzuela. His work in creating the program earned him an honorary doctorate from the University of Arizona. Following the retirement of Dr. V., his son, Jaime ably took over the program. The Valenzuela family mariachi educational dynasty continues with Jaime’s siblings Rudy and Myrna Salinas, who teach at Roskruge Middle School and Summit View Elementary School, respectively. I’ll be filming their programs at work in the weeks ahead. Alfredo Valenzuela, aka Dr. V, tunes violins at a Christmas performance by Mariachi Las Aguilitas de Davis Elementary at the University of Arizona. And Dr. V is typically not far when any of these young groups perform, pitching in to tune instruments, encourage the young players and cheer them on wherever they appear. God knows how many thousands of young mariachi students have come up through the Davis ranks. The work continues much as it always has, with hard work that builds teamwork, discipline, confidence and so much more. 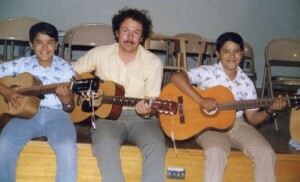 Richard and Reuben Carranza with Dr. V in the 1980s. All of those who came up through the Aguilitas ranks will tell you that it was a transformative experience in their lives that gave them skills they use well into adulthood. 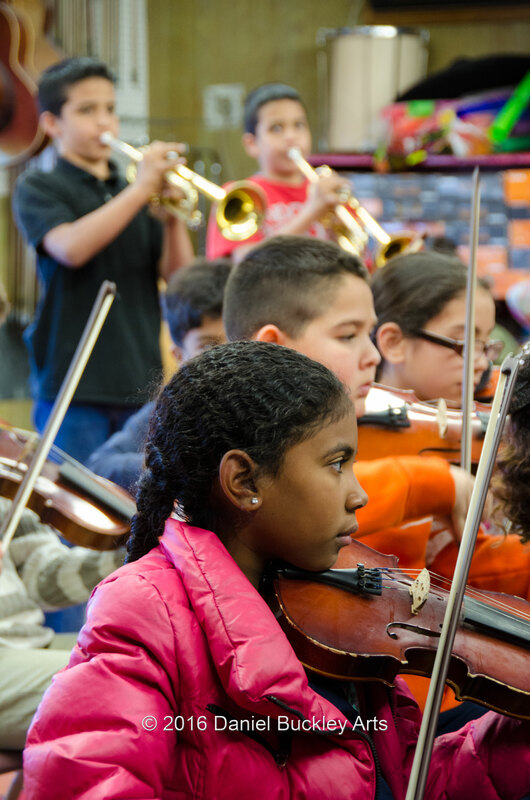 Doctors, lawyers, captains of industry, educators, musicians, scientists, engineers and more all credit the boost that sent them off to do great things to these youth mariachi programs. Brothers Reuben and Richard Carranza, pictured to the right with Dr. V from the days when they arrived at Davis speaking no English, went on to become Group President: R+Co & V76 Luxury Brand Partners and Superintendent of Schools for the San Francisco school district, respectively. 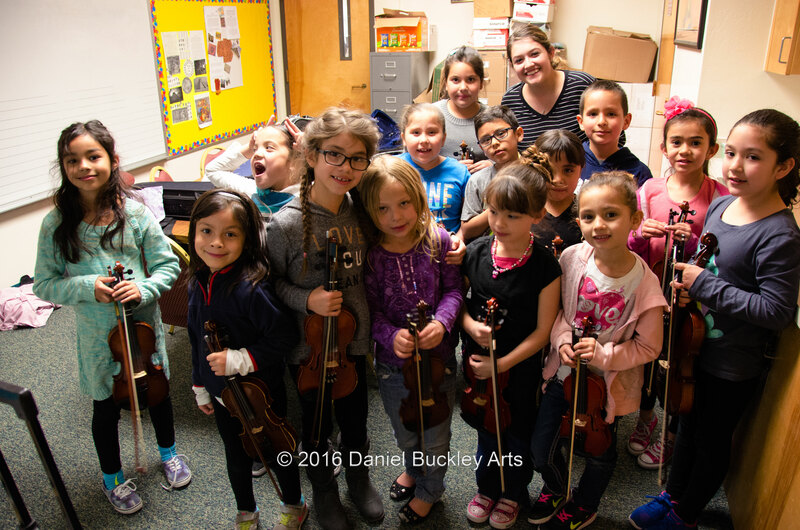 Beginning violins at Davis – the next genration of Aguilitas. And the music making and skill building continues, not just with those in the current Agulitas group but in the beginners classes that wait in the wings for their chance. ~ by Daniel Buckley on February 4, 2016. Bello! 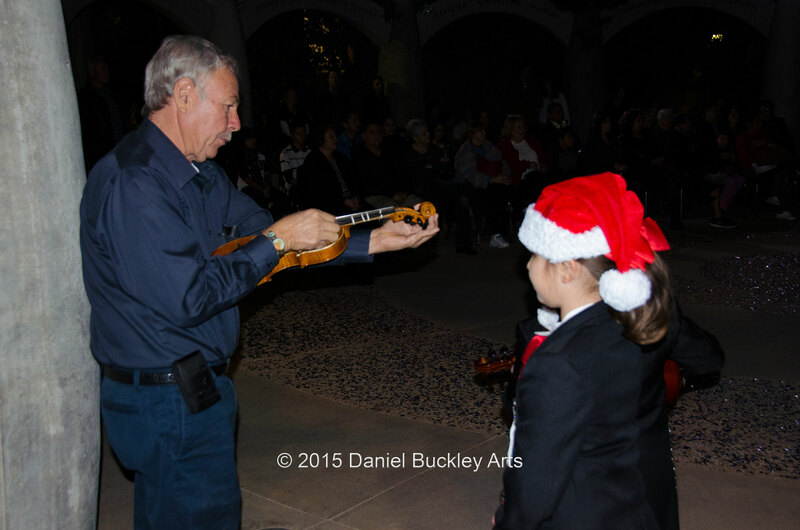 Truely magical and inspirational to watch “maestro Jaime” carefully help each child reach and surpass expectaions. Bravo!